Empty Princess Street minutes before gates are opened to the public at Edinburgh Hogmanay street party in the city on New Year's Eve. Scotland, United Kingdom. 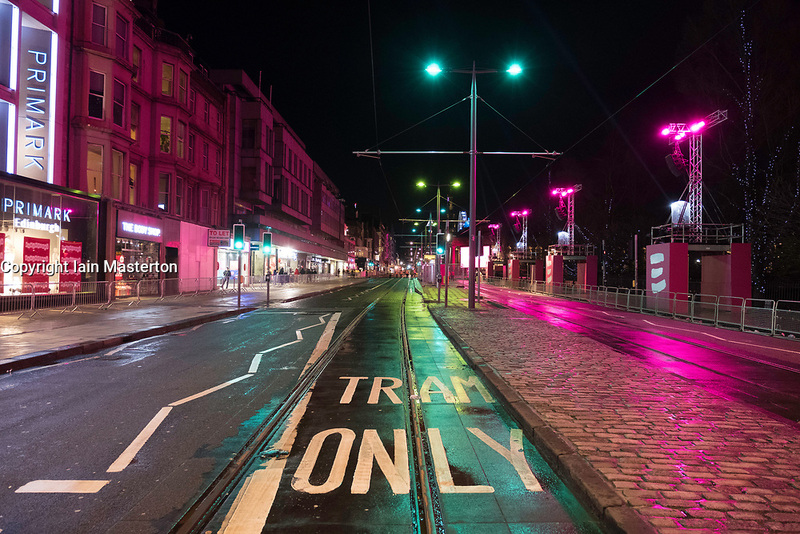 Empty Princess Street minutes before gates are opened to the public at Edinburgh Hogmanay street party in the city on New Year's Eve 2017. Scotland, United Kingdom.